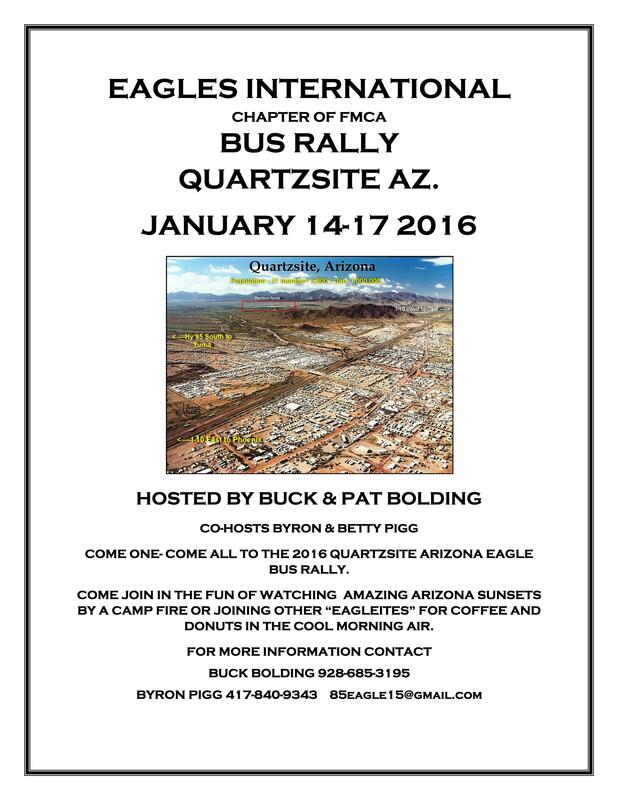 There will be an Eagle bus rally in Quartzsite in January 2019. The details can be found here. 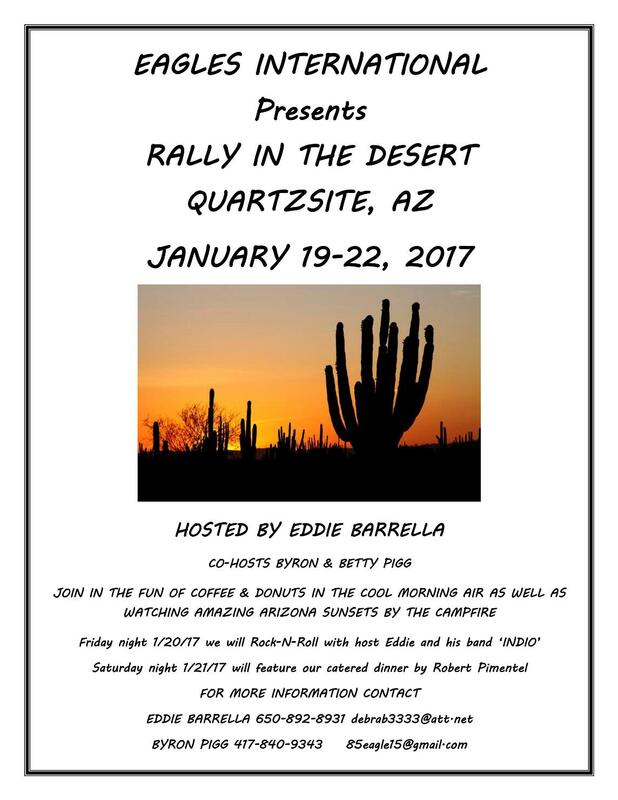 Details of this rally can be found here. Rally details can be found here. 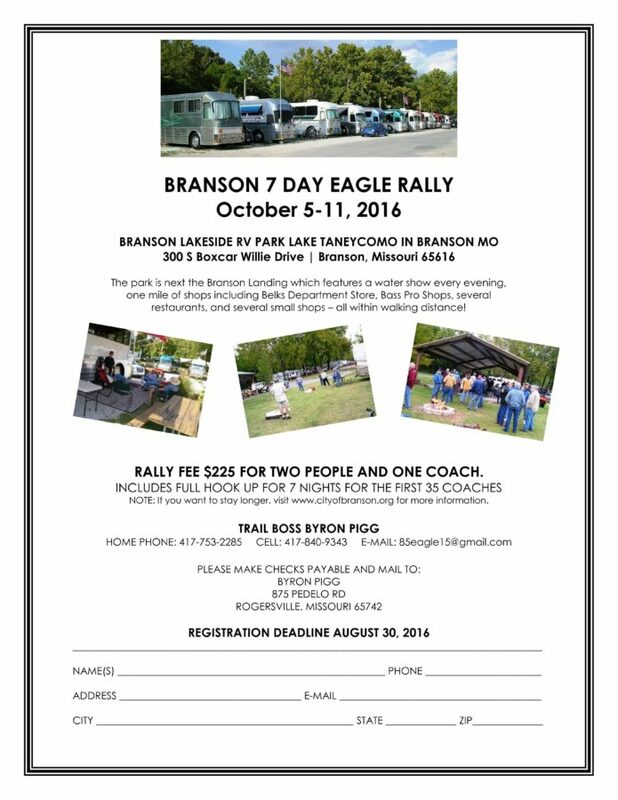 The board has approved an Eagles International rally that will be hosted by Dennis and Renae Hafenbreadl. The rally will be in Door County Wisconsin - July 22-26, 2015. This date is just prior to the FMCA rally in Madison, WI Details will be posted as they become available.